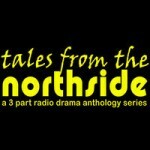 Travellers Stories – North Dublin through the eyes of the Travelling Community is an insightful new radio series produced by Northside Dublin community radio station Nearfm and Northside Traveller advocacy group Travact. Over 6 programmes, the series producer Leslie Murphy and narrator Paddy McDonagh explore the cultural identity of Travellers in 21st century Ireland with a nod to the historical aspects of Traveller life and a particular focus on Travellers of Northside Dublin. The series is presented in a lively manner, with interviews, music and sound effects and a wide range of contributors. The programmes show the positive and negative sides of the lives of Travellers in North Dublin and how social exclusion and discrimination hasn’t stopped Travellers improving their quality of life, while at the same time keeping their culture and traditions alive and well. Programme 1 in the series features contributions from Martin Collins of Pavee Point, Catherine Joyce from Blanchardstown Travellers Group and Michael McDonagh form the Meath Traveller Workshop. 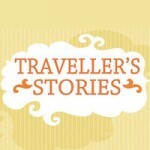 The programme looks at Traveller History, language and the importance of extended families.